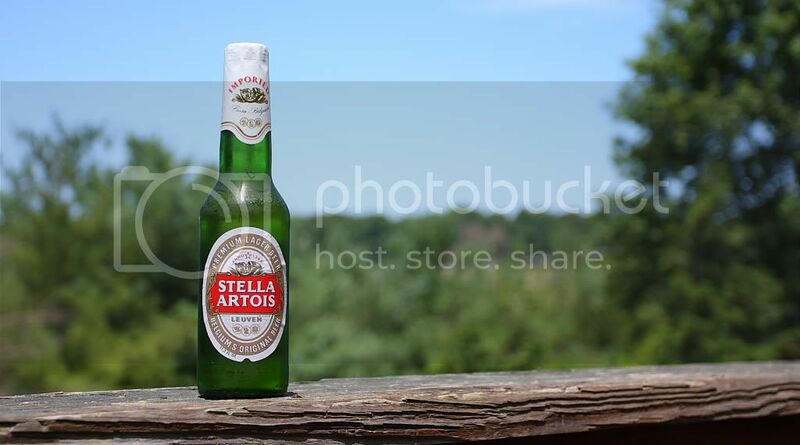 The beer of the month for August is Stella Artois Pilsener. SA is one of my absolute favorites; I had it for the first time in 07' and never looked back. Light yet definitive flavor, refreshing and a clean finish, brewed in Belgium, nationally imported by Anheuser-Busch. This is a beer that can be called upon in any situation, with any food, for any occasion, but purchase should be paced in the same way as mini-vacations or a nice dinner out shout be. Not because of cost, rather it's that good. If $10 six packs are a problem for you, hopefully graduation from college and a job is around your corner. Put your econo-brew down and treat yourself. Getting a pint via draft in a nice bar is even better as SA glasses are pretty sweet. 4 stars, obviously!